Watch the video below because this is how I felt this morning. I will tell you why only after you watch the video. Seriously, watch the video. 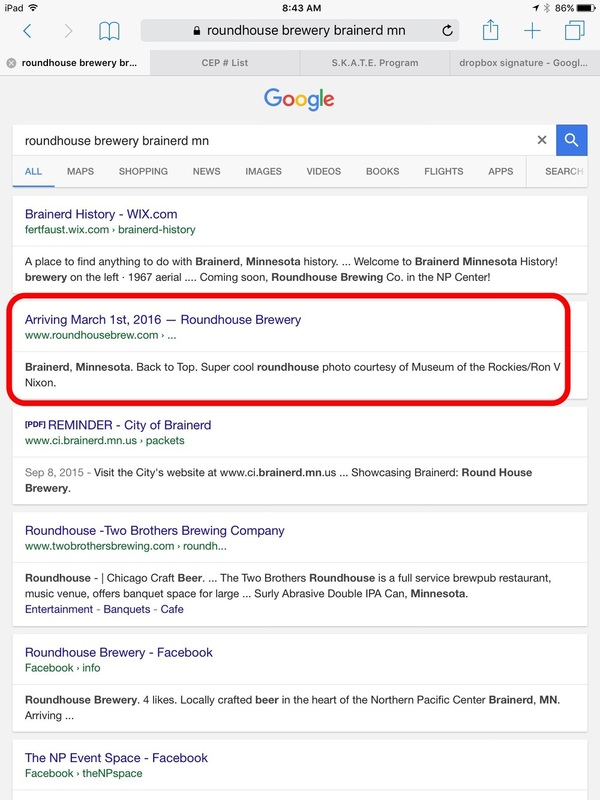 Periodically ever since we made our presence known on the web I have been Googling Roundhouse Brewery Brainerd, MN. Much to my disappointment everything but Roundhouse came up. Not today. Today, just like Naven R. Johnson, we are somebody. OK, even though we are somebody, much like Naven we are not perfect. The link goes to our old webpage but if you click on the home button it will take you to our current page.